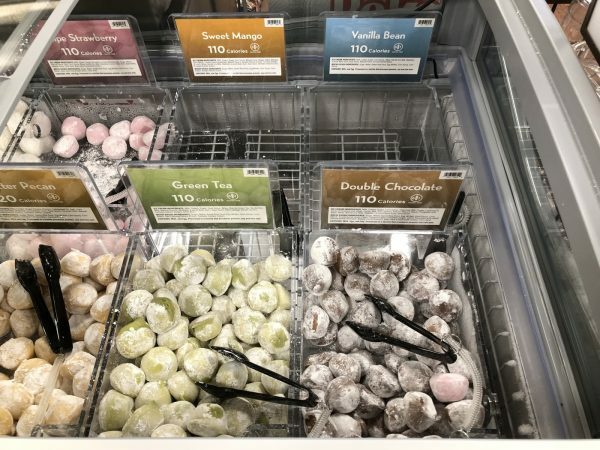 Dillons now selling mochi ice cream at select stores – Wichita By E.B. Have you ever had mochi ice cream before? If you haven’t the Dillons at Central & Rock currently has a little self-serve kiosk available. 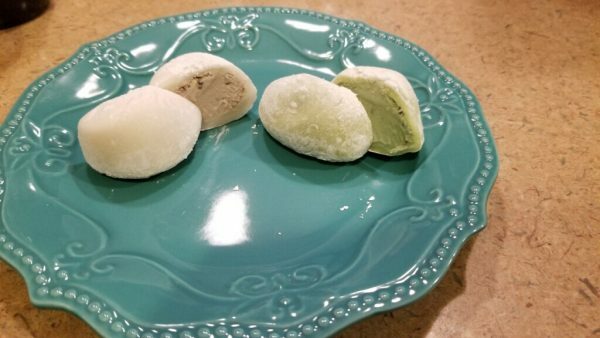 For those that don’t know mochi ice cream is a small, round confection consisting of a soft, pounded sticky rice dumpling (aka mochi) formed around an ice cream filling. It can be found at various Asian restaurants and grocery stores around town. 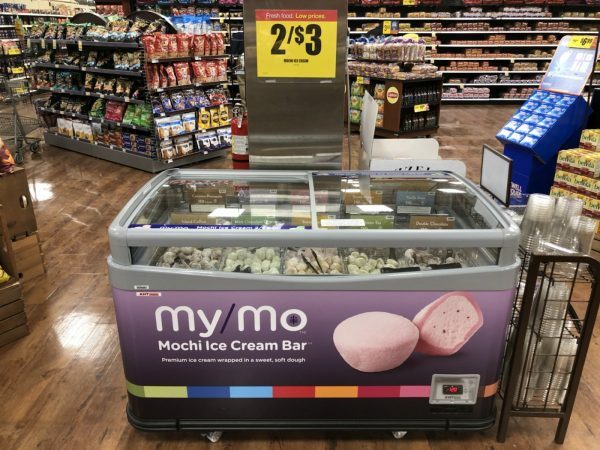 At Dillon’s, you can get the My/Mo Mochi Ice Cream brand at two balls for three dollars. By comparison other restaurants commonly sell these for $1.50 to $3 a piece. There are ten different flavors to choose from but on every visit, we have yet to see sweet mango or vanilla bean in stock. Otherwise we have tried every single flavor available. 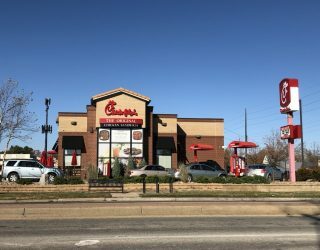 Between the seven of us who all purchased them, our favorites ranged across the board. My personal favorite was ripe strawberry. Others in the group chose island coffee, cookies and cream, as well as ripe strawberry. People were lukewarm on green tea but it’s a very popular flavor in Korean restaurants. The balls are bigger than they appear in the picture. Two was a good portion size for dessert for each of us. 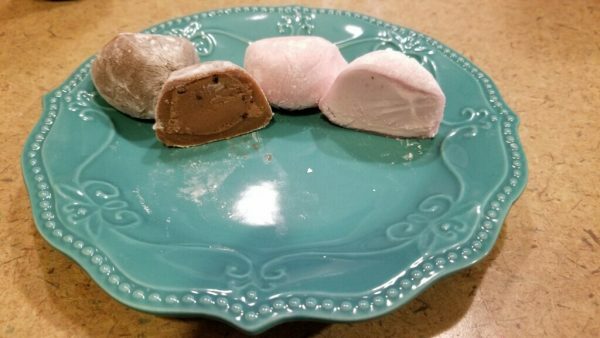 If you’ve never tried mochi, I would recommend spending the three dollars to give it a shot. It’s a very simple yet flavorful dessert. It’s nice to see some of the Dillons store adding a little culture to their offering. 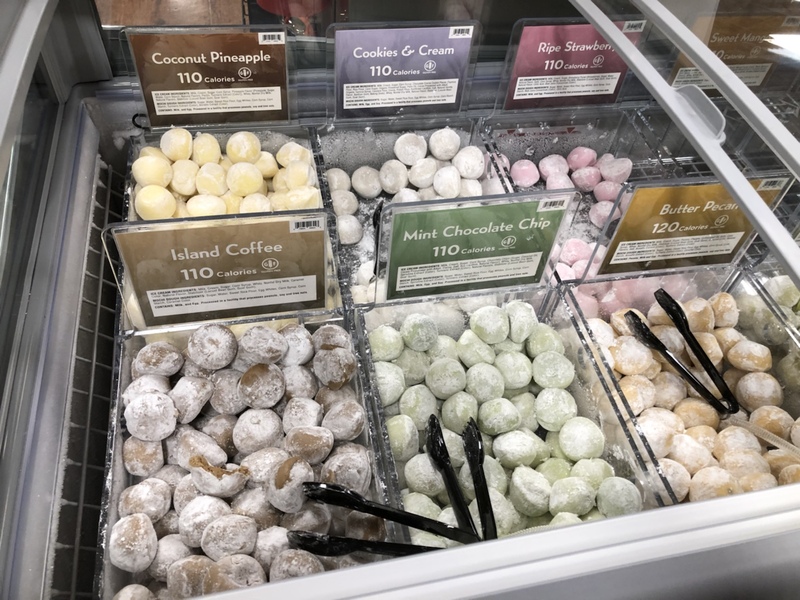 We were guessing they used the biggest location as tester spots to see how well they sold before rolling mochi to the other stores. We’ve made more than one trip out for mochi if that gives you any inclination of how much we enjoyed it. 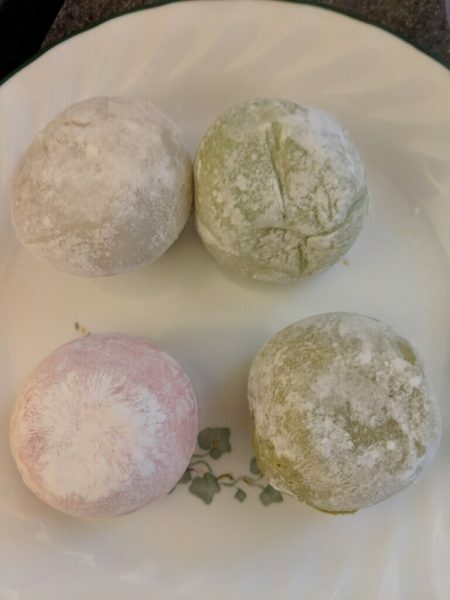 The green tea mochi at Dillons is not as delicious as other brands I’ve had. It’s almost too floral tasting than other brands I’ve had (Trader Joes carries my favorite brand of green tea mochi fwiw).